Love the colors used on both cards. Great cards. Love those teacups all stacked together. Love how you matched up the stripes in the teacup background and the heart and your BIG, BOOMING HELLO card is very cool. There's just something about stacked tea cups that promotes happiness! Great cards. Thanks for sharing! Love the simplicity and color here!! SO perfect!!! Bright and fun card. 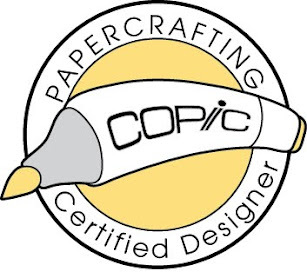 The teacups in pattern paper is so fun that the person receiving the card will have to feel better. I like the bright, fun colors of both cards. The bright colors are so fun. Lovely work! These are HAPPY cards, love your use of bold colors. Fantastic. Cheers! Love how bright and cheerful these cards are. 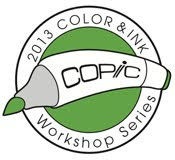 I love the colors in these papers....so bright and cheerful. Love how colorful these cards are. Happy and cheerful cards, a joy to receive if you're not feeling well. Love these fun and colourful designs! Great fun cards. The bright colours catch the eye and make you smile. Yeah- I love bright rainbow colors! The beautiful rainbow patterned cups are anchored by the rainbow stripes! 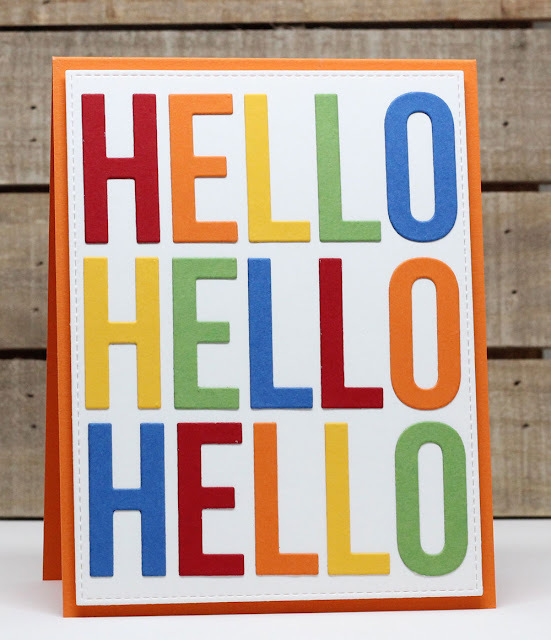 The rainbow letters in the second card make an enthusiastic Hello! Loving those rainbow themes. Great card. WOW! I should have ordered that HELLO die! Gorgeous work! Love the tea-cup card, it has to make anyone feel better. The number of times I've hand cut teacups, that Tea Party Die-namics sure would have come in handy! What cheerful happy cards! Oh, I love bright colors! They will certainly make someone's day! Love that stacked teacup card!!! So colourful! Love the teacups!! Awesome use of bold colors. Great bright and fun card. How fun! 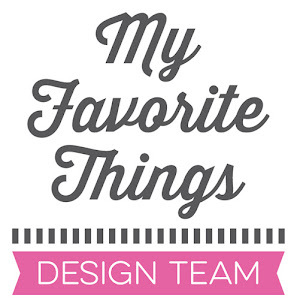 Love your rainbow designs! How beautiful and bright both of your cards are. I really like the rainbow tea cups! Howe sweet. I love how bright and cheerful your cards are! I'm a sucker for rainbow colors! Love your rainbow teacup card -- so cheery! Great cards. Love the bright, fun colours. I just love your fun rainbow colored cards! Those stacked teacups are adorable. Love these bright and colorful beauties!! Wonderful cards! Love the bright colors! Great cards, so colorful. Love all the patterned papers. Such beautiful cards. Love the bright cheerful colors. Great cards! Love the stack of cups in the fun prints and colors! seriously fun set of cards!! These are such vibrant and fun cards! Love both of these cards. So bright and happy! LOVE your bright and colorful cards and this new release!!! Beautiful cards!!! I love so much their bright colours!!! I love anything in "rainbow order." Both of your cards qualify! Great job on both! Love the rainbow colours you used on both cards. Cute and fun cards! 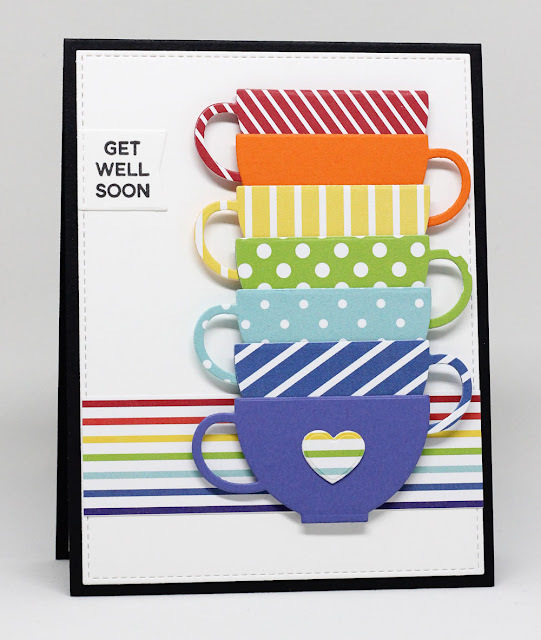 I love the teacups all stacked up on your get well card! Love the stacked cup! Too cute! Love the use of all the colors and patterns. Both of your cards are so colorful and fun. Love the colors & boldness!